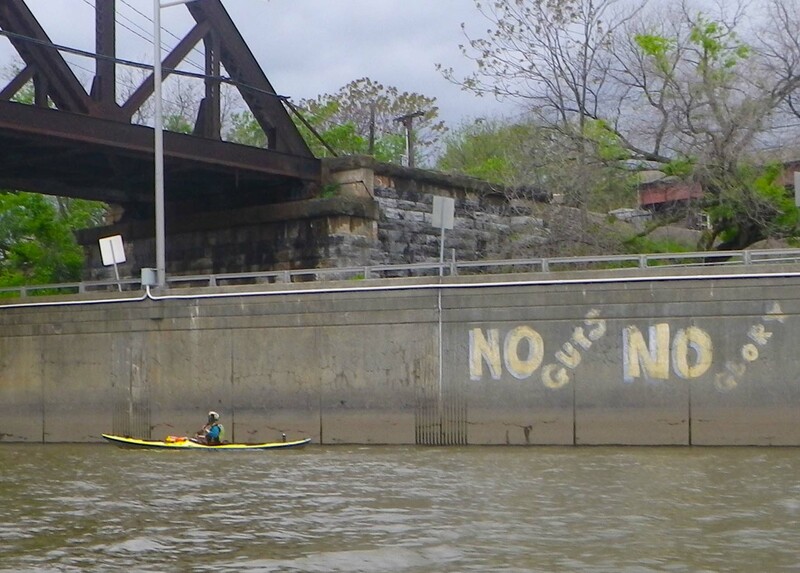 This entry was posted in Kayaking, New York City, Photography and tagged Graffiti, Kayaking, New York Harbor, Photography, postaweek, postaweek2013, Travel, Walls, Weekly Photo Challenge. Bookmark the permalink. wow, who’d a thought these great wall photos in a kayak!! How do you reply with a picture please Vladimir ? First, you have to upload the picture into the Media Library, which will then provide you with the URL of the picture. But I use <a href=”URL” title=”TITLE” target=”_blank”><img src=”URL” width=”WIDTH”></a> to make it a bit nicer. It’s possible that your particular theme may provide some higher-level way to insert pictures into comments, rather than using the low-level HTML as above, but I doubt it. All this means that I can insert pictures into my own blog, but not into yours (because I don’t have access to your Media Library), and vice versa. When I comment on your blog, the best I can do is to insert a link, which when clicked on will lead to the picture stored on my blog, but won’t automatically display as a picture on your blog. Oh my!! Thank you– I will practice!! Thanks! I still can’t figure out the mosaic feature …laughing! They were given to me but I see no reason way Vladimir would care. We are all here to help each other I think? It’s just amazing what you only see from the water…These are great! 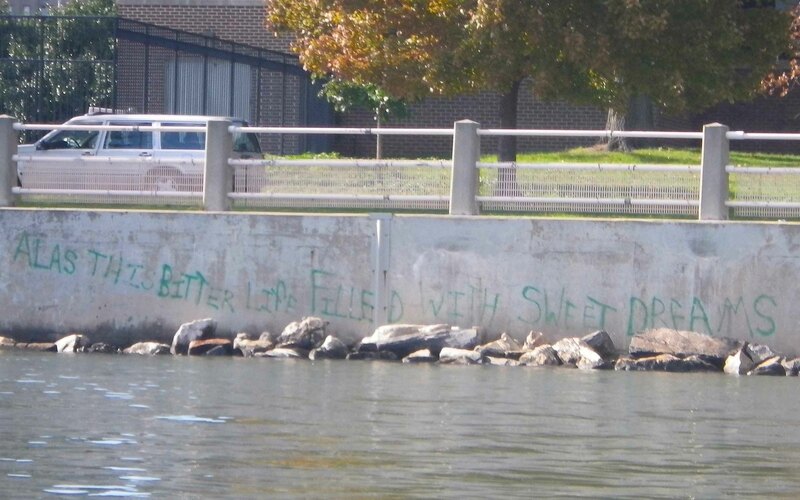 Some of them really only from the water… Thanks!! 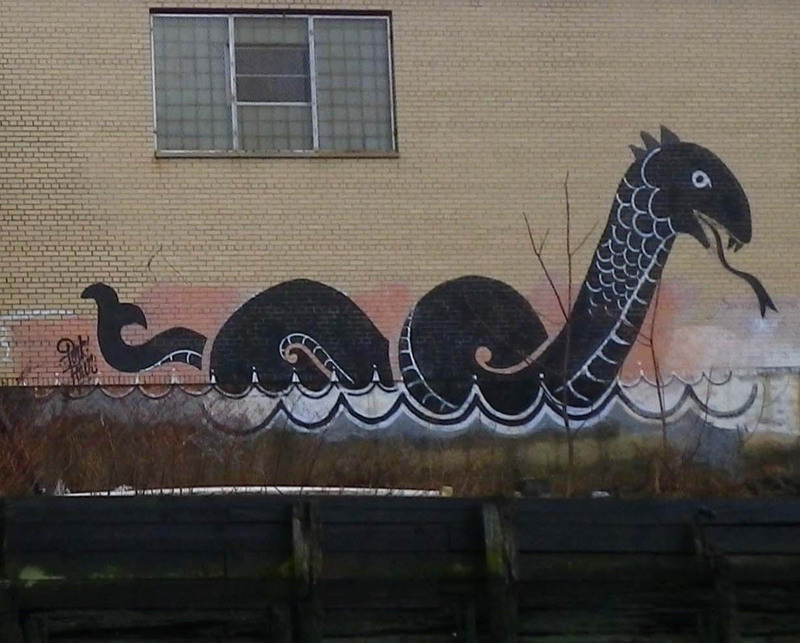 Love the sea monster. Such different views than we see paddling around the marshes and rivers in the country. Shark had a periscope. . . Loved seeing Johna’s big smile! She really lights up the pictures when you catch her like that. As indeed I do (like that). Thanks for the kind words! 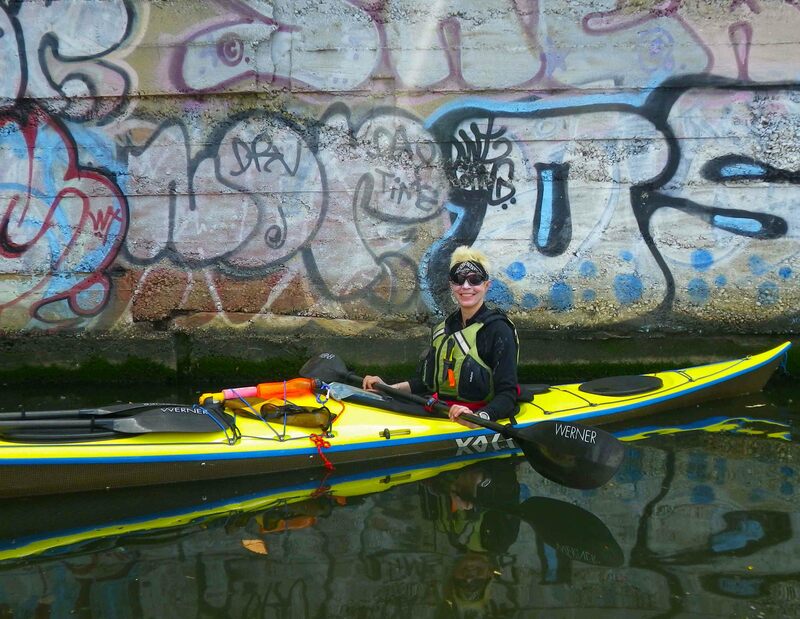 It’s a bit of a surprise to have an emerging identity as “kayak model”…. 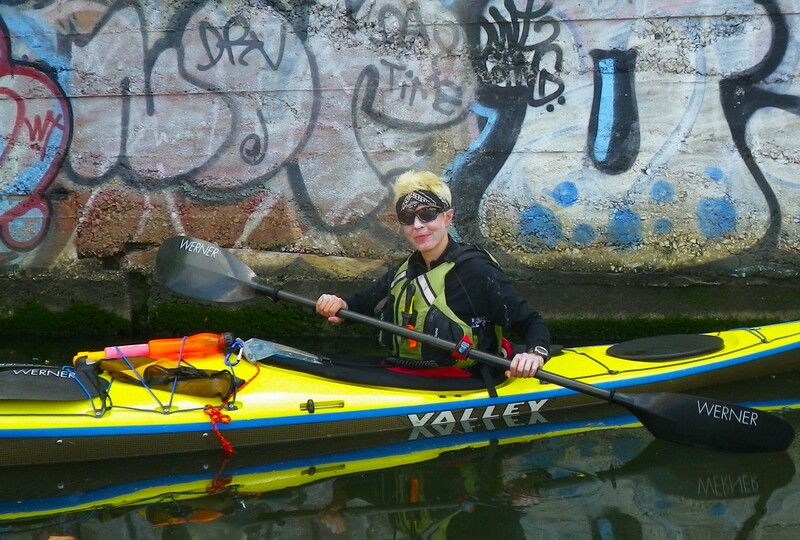 I think I convinced Vlad to give me a dollar once, so I can list “professional kayak model” on my resume :-D :-D :-D.
You’re welcome. I do enjoy seeing you in the photos and am glad you let him post them. I think that professional kayak model is the perfect addition to your already extensive resume – and quite different too! It wouldn’t surprise me but that there would be a call for that. One of the former Miss America’s made a good living modeling gear for fly fishing. She was an actual fly fisherman too, not just posing. :-) Miss America? I love the comparison, and thank you!!! As for “letting” Vlad do things–the man’s a force of nature, I just go along for the ride. Fortunately, he’s got exquisite taste (and talent) so I always look better in his photos than in real life. The only thing that makes me unhappy is that he has veto power of the photos of him… which, along with my limited photographic abilities, explains why the image selection is so one-sided. And left a comment on that ancient post. It is a delight — everyone who comes here should go there. Its a post that rivals your best I think — with only 3 likes! (I guess liking was new back the) but — it shows I think how far you guys have come. If you posted that today it would have 200 likes and 50 comments I wager! Well done as expected! The link itself is here. 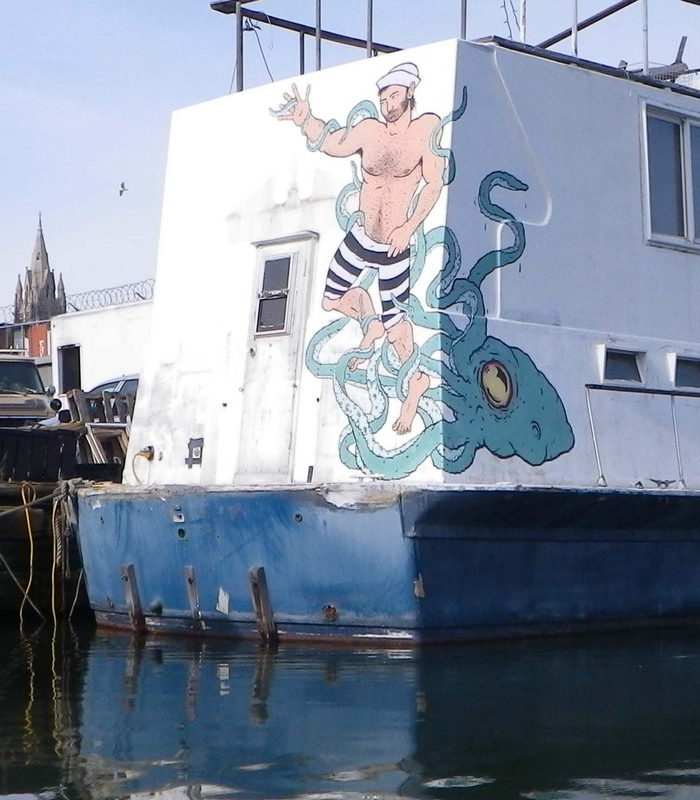 Thanks for introducing us to the marine art of NYHarbor. Treasures! Love that last one! Last time I took photos while kayaking I ruined my camera. You must be quite good at it! Wow. Some of the most unusual paddling photos yet! 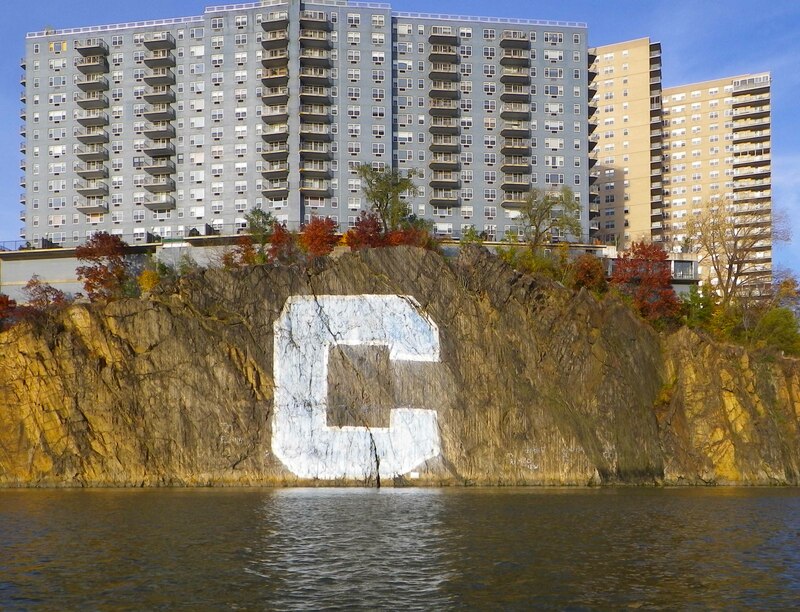 You see all kinds of things while kayaking around NYC!